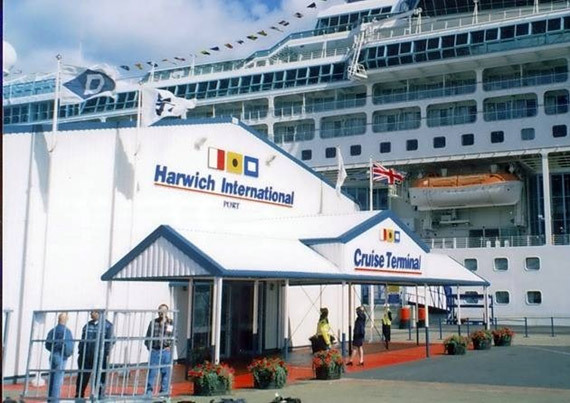 Harwich is the smallest of the three main cruise ports that serve London (Harwich, Southampton and Dover). It is a single berth, single terminal affair which even at the height of the summer season will only have a cruise ship every other day at its busiest time. Harwich is around 90 miles (145 kms) from the centre of London. On a good day, a vehicle will make it in under 2 hours. Harwich is the other side of London from both Heathrow and Gatwick Airports, London's major airports. The closest London Airport is Stansted Airport which is dominated by European low cost budget airlines. This is about half way between Heathrow and Harwich. Also providing transfers to and from Harwich Cruise Port to all major airports, cruise ports, Hotels and all cities of London and UK Postcodes at a nominal cost.